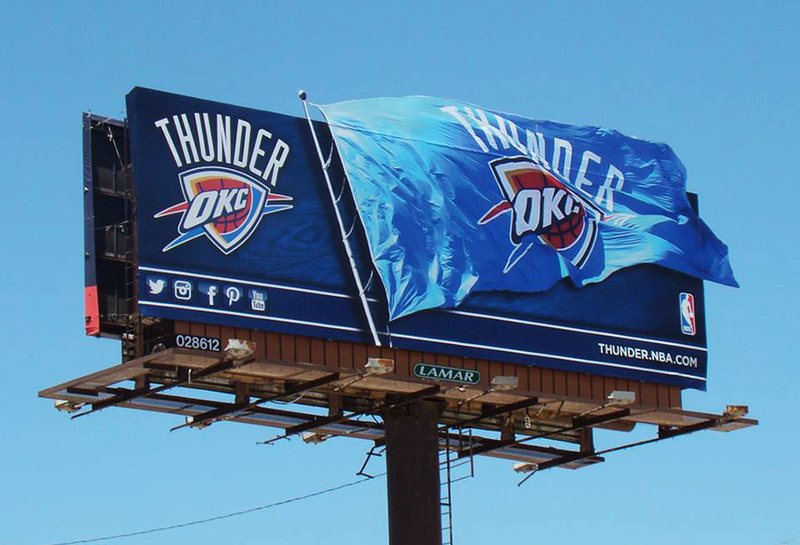 The Oklahoma City Thunder basketball team used a Lamar bulletin billboard to create this unique creative. This enormous flag was secured to the billboard and blew in the wind. This board could not be missed by basketball fans driving below and created both excitement and team pride. The vast potential of 2D and 3D extensions is limitless and with a little inventiveness, an unforgettable board can be created.